This month we are celebrating our partnership with UnitedHealthcare. Food Lifeline is proud to partner with UnitedHealthcare as part of their “Do Good. Live Well.” program. Since 2009, “Do Good…. The Food You Provide Helps Children Survive…and Thrive! See the impact your support is making and find out all of the latest happenings at Food Lifeline by signing up for our monthly e-newsletter. Action Takers are Food Lifeline volunteers and supporters who agree to higher levels of advocacy action-taking. This means messaging lawmakers with each alert and agreeing to more communications from the advocacy team. 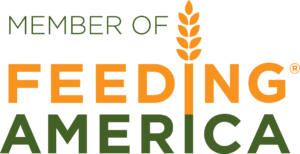 Join our "Stay Informed" advocacy list to be kept up-to-date with the most important food policy action around. If yes, which programs? If no, have you looked into this?